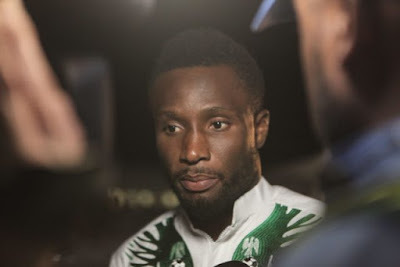 The Police in Enugu State yesterday rescued Mikel Obi’s father, Pa Michael Obi and his driver, Ishaya John at a forest in Egede, Udi Local Council of the state. The Guardian learnt that Pa Obi and his driver were rescued unhurt about 2.30pm in the forest along the old Egede-Affa Road. A statement yesterday from the Enugu Police Public Relations Officer (PPRO), Ebere Amaraizu, said they were hale and hearty and that they have rejoined their families. He stated that they were abducted along the Makurdi-Enugu road on Friday afternoon on their way from Jos in a grey colored Toyota Prado jeep with registration number MUS 604 CG and taken to an unknown destination through the forest. It was further learnt that the abductors started calling to demand N10 million ransom before the operatives acting on intelligence information swooped on them where a gun duel ensued, forcing the hoodlums to abandon their victims in the forest. Amaraizu said Pa Obi commended the police for their swift response, which led to their rescue and thanked the Commissioner of Police (CP) in Enugu, Danmallam Mohammed and his operatives for their gallantry. “I am alive and healthy. I thank the Commissioner of Police and the operatives for their efforts, which led to our rescue,” he was quoted as saying.